In 2018, the price of wheat had a spectacular evolution, after climbing strongly during the summer, during the harvest and immediately after, with a price increase of over RON 100 per ton in July. 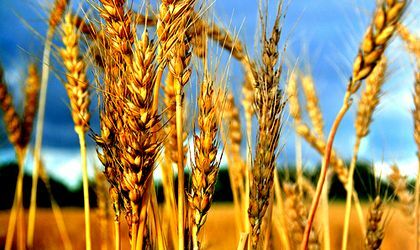 Wheat reached its highest price in recent years this week, as its quotation at the MATIF Paris stock exchange was RON 954 / ton (on 15 January 2019) and the CPT price of Constanta offered by some traders in this week being RON 922 / ton. According to an analysis conducted by AgroGo to see how this season’s price compares with the previous one, we present the chart below for a comparison of the wheat price over the same period of the year for the last 3 seasons. There is a positive (positive) difference of over RON 200 / ton over the previous season. What is to be expected next? The wheat price for the new season, which will be harvested in the summer, is now traded on futures contracts (with future delivery) at a lower value than the current one. Thus the current price for wheat with delivery in September 2019 to MATIF is RON 877 / ton, down by about RON 100 / ton on current price. These prices change every day, but as a rule, the trend only changes when information with significant changes in production or stocks changes significantly. For those with current wheat stocks, the question remains, what will happen to the price until the production of the new season? If we were to look at what happened in the past seasons during this period (February and March are visible in the first graph), we see that as a rule the price was quite stable, both on stock exchanges and in the physical market. But this year is a bit atypical, both because we have a season over the average of the last few years, reached this level through a sudden and unpredictable growth on stock exchanges and because in global information (regarding inventories, production and consumption) we are struck by the lack of the famous USDA reports due to the suspension of the US government and, implicitly, of the subordinate institutions. In this context, the stock market is quite numb (especially the American one). It remains to be seen what will happen next as we approach the maturity of contracts with the following delivery dates, when traders will be forced to make trading decisions.